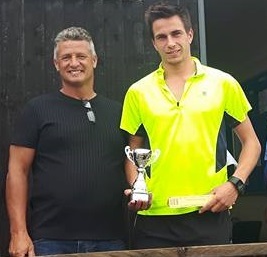 Wilkins Way, a new multi terrain 10km race around the Worcestershire countryside, was the brainchild of Mark Dillon, Lesley and Graham Harris and took place on Sunday August 14th. They organised it in commemoration and to positively remember Rebecca Wilkins, a regular Black Pear Jogger, who tragically died earlier this year. From concept to delivery, including ensuring they had the blessing from Rebecca’s family, designing promotional literature, securing a suitable venue and drumming up sufficient participants, they turned the organisation of this event around in record time. They also had help from a small committee who met up on Tuesday evenings and Mark enlisted the assistance of our new Chairman, Paul Evans, to secure a race licence. 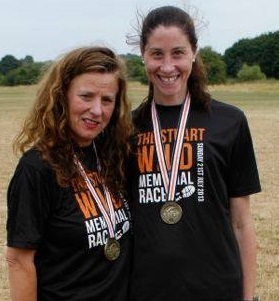 Beccy adored running with her friends, particularly her glam friend Lesley, and the route was specifically designed to reflect this. 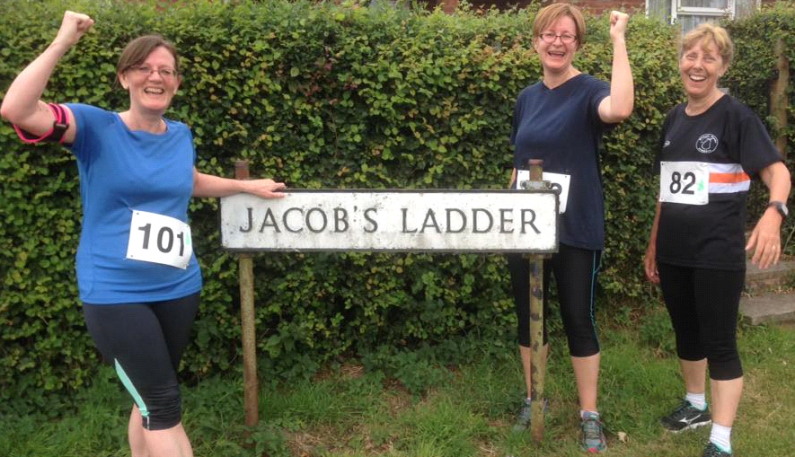 On a Thursday evening she and Lesley had frequently run ‘The Mug Run’, a route that goes out from Claines Church, near The Mug pub at 7, so as much of the course as possible was incorporated into the 10k race. 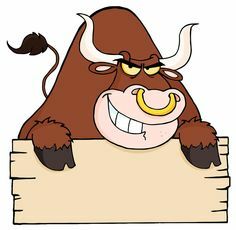 Ask Lesley about their antics when she was chased by cows one evening!!! It sounds like they had so much fun. The final circuit they settled for wound through the beautiful Worcester countryside, taking in Porter’s Mill and Claines. It took us over stiles, across a field, up and down some steps, across chicken wire covered bridges, racing around the small scenic country roads, along covered paths and via the picturesque canal route. 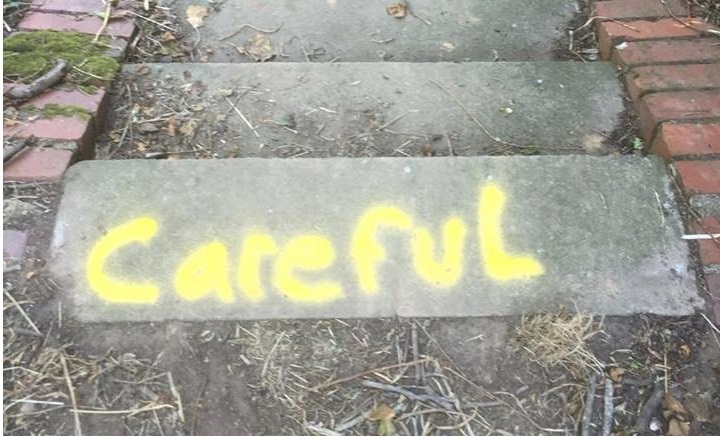 For the more observant amongst us Mark (Banksy) Dillon had dotted ingenious touches of humour along the way that caused many a smile. 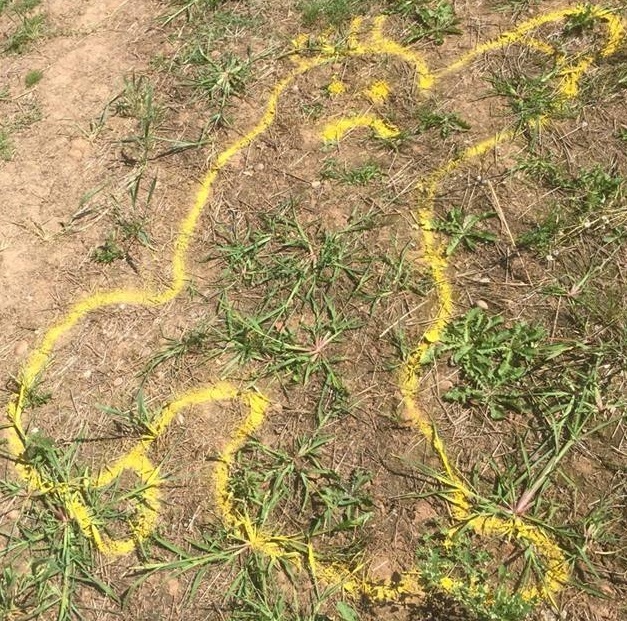 The chalked body in the grass in the middle of the field would have appealed to Becky and the ‘No No’ signs to prevent people from taking the wrong route were much appreciated. Combine that with a beast of a course that included both Egg Lane (fondly known as the switchback) and Jacob’s Ladder and you could almost imagine Beccy’s somewhat sadistic and smug smile. It is Graham Harris we have to thank for the course’s brutal hilly finish. For its debut, turn out was incredible. 137 runners represented by 19 different clubs. 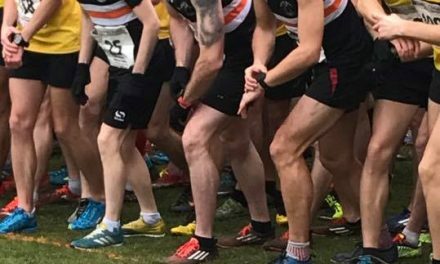 There was particularly great support from local clubs, Malvern Joggers and Pershore Plum Plodders, the former of which bagsied some of the winning accolades. (See below) The Worcestershire clubs do tend to support each other’s races and it is worth mentioning that the Plums have a 10k event at Pershore Leisure Centre on August 28th. 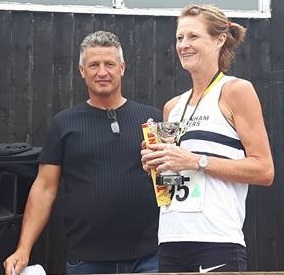 The overall race winner was Andy Salt, Ludlow Runners and first lady was Fee Maycock, Cheltenham Harriers who also won her age cat of 45-54. Black Pear Jogger’s swept the board with some members receiving double accolades. Rob Bowery and Sarah Kellett were second gent and lady home, as well as both winning their age categories of 40 – 49 and 35 – 44 respectively. 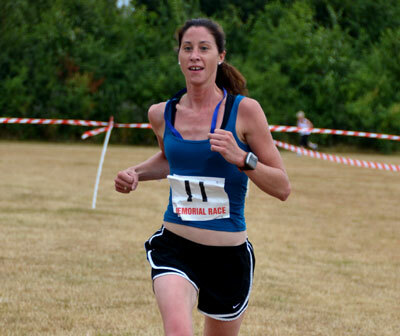 Becky Hardie was third lady home and won the mixed pairs event with Matt Davis. Hugh Davies was third man home and Leo Taggio won his 50-59 age category. 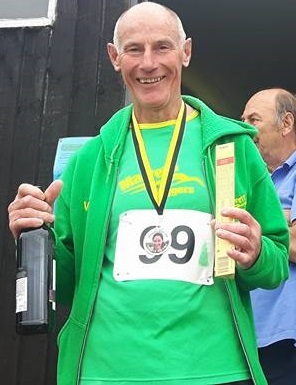 Malvern Joggers did well to pick up 55 – 64 age category winners c/o Julie Caseley and the men’s 60 – 69 thanks to Ian (Wally) Walwyn. The lady’s 65+ category was won by Vivienne Church who is unaffiliated. A vibrant club member, Rebecca had recently done her LIRF leader course and was taking a couch to 5K group before she was so suddenly taken. 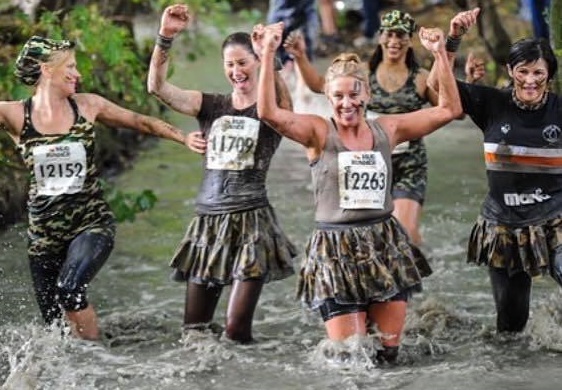 She would have been over the moon to know that 2 of her graduates, Mel Wright and Ruth Williams, not only completed the 5K distance, they progressed to the 5k-10k course and successfully completed the whole race in her honour. 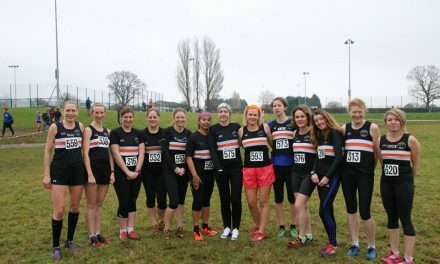 This and the fact that there were 54 BPJs who ran on the day at this new local event as well as others who ran the virtual race, is just one of the many reasons why the club has made it through to the finals of Club of the Year, Worcester Sports Awards. 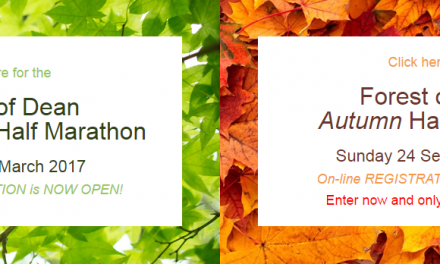 Beccy openly acknowledged her daily struggle with eating disorders and, as such, it was highly fitting that a portion of the proceeds be donated to the Charity Anorexia and Bulimia Care and the rest to the club sponsored Leader in Running Fitness (LiRF) courses. She canvassed hard to raise awareness and was often heard endorsing the positive effects that running has on mental illness. 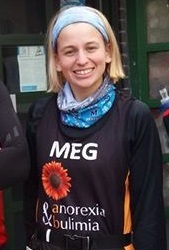 Megz Jean Judge, a regular Malvern jogger and someone who has successfully battled her own eating disorder demons, even sported her Anorexia and Bulimia t-shirt in dedication, a lovely gesture of support. A fantastic total of £1,603.66 has been raised to divide between the two great causes. Support, in whatever guise, is i mperative to the success of any event. Volunteering, marshalling, promotion, BPJ’s are brilliant at rallying round and drumming up support. In an inspired gesture by the organisational team, an award was given to Lorraine Griffiths for being the most prevalent liker on Facebook, a lovely way to recognise the most supportive supporter. 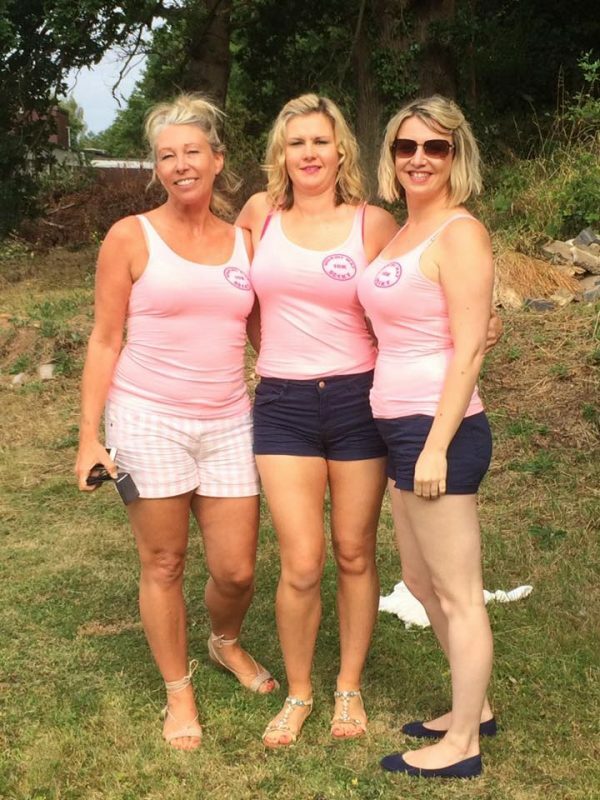 Helen Stanley, Mel Lines and Michelle Bird, a posse of Becky’s close friends sported t-shirts in her honour. Multi-tasking like true professionals, they flitted between registration, marshalling and medal duties, a pendant aptly adorned with Rebecca’s face. 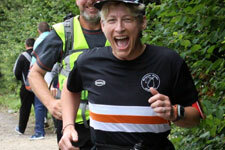 Community sprit was rife, no better exampled than through two Malvern Joggers, Mike Anstey and Lynda Broadway who kindly sponsored and provided the water, with the water station being supplied by Steve Worrallo, Ultra Running Limited, anothe r popular local event organiser. 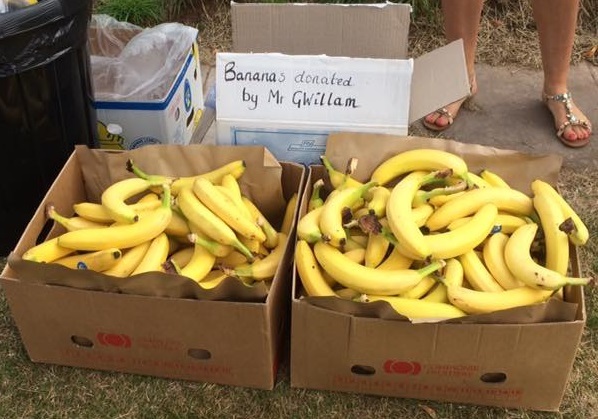 Gwillams generously donated 200 bananas, Waitrose gave £30 in gift cards and Cliff Wood (Laylocks) provided two lovely cakes. 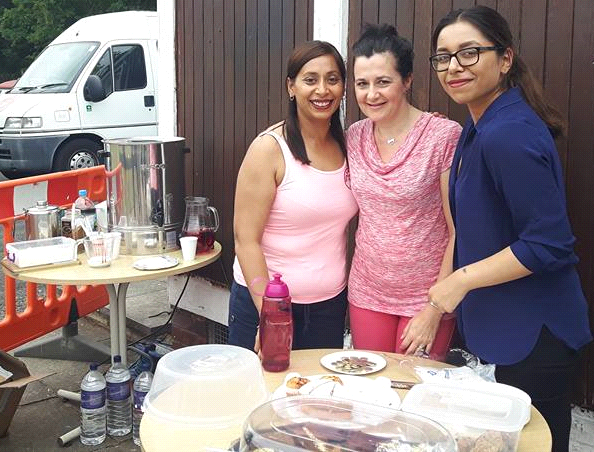 There were countless home baked cakes provided by club members and another of Rebecca’s close friends, Ush a Hira, was delighted to take on the role of tea lady for the day, supplying the tea and coffee, supported by Divina Hira and Helen Langford. Direction arrows and signs supplied by Roger Cook who also ran round the course behind the last runner with a backpack to collect them all up again. What a fitting tribute to a lady who was full of fun and mischief. She would have been delighted, probably embarrassed, but cheekily delighted with her send off.